Samsung Headquarters Bombing Threatened ~ " World Information "
Seoul - The headquarters of Samsung in South Korea shocked the bomb threat via email. As a result, the local police was busy investigating the Samsung building to ensure the truth of the threat. Party National Policy Agency explained that initially the Samsung office in the territory of Canada to receive an email with the threat of bombing. The sender claimed to install the bomb at the headquarters of Samsung in South Korea. Not only the Samsung is a central threat. The email also stated that the various offices in the South Korean embassy would be bombed, including the embassies of Pakistan, Saudi Arabia, Iran, Oman and Bahrain. Email it came some time after the death of Osama bin Laden declared. 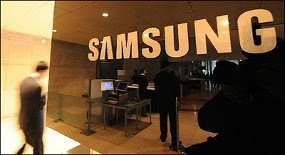 Police immediately visited the Samsung headquarters in Korea. As many as 60 police and sniffer dogs were deployed at offices located in Seocho-dong, northern Seoul, the capital city. "About 3 hours of searching, we did not find anything suspicious," police said. Similarly, in the embassies that were targeted threat, may not find the object ekskplosif. Although the threat is not proven, the Samsung remained increased vigilance. They tighten the guard at the central office. The all employees including chairman Lee Kun-hee keep its head as usual. Not yet clear whether the motive for the threat and who sent it. Similarly, as quoted from the Korea Times, Wednesday (03/04/2011).